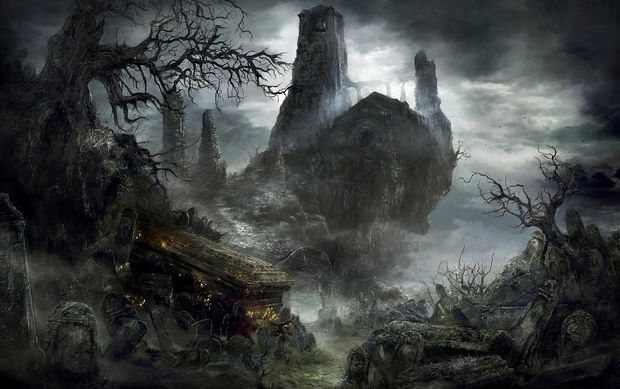 I could not be more excited about Dark Souls III and the return of lead designer Miyazaki to the series. While I loved Dark Souls II (it was one of my favorite games of 2014), it felt like a very well executed and difficult adventure game, not the transcendental experience of the original Dark Souls. 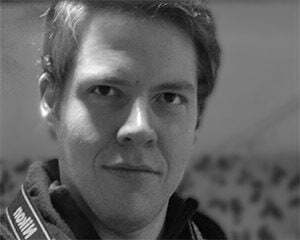 With the man himself back in the captain's chair, I'm expecting big things from Dark Souls III. I've been scouring message boards, Twitter, and reddit for all the info I can find. The most useful source of information so far has come from a hands-on demo that some Souls super fans got a chance to play. Most of what I've heard about it so far can be found in this reddit thread or was otherwise discussed in Twitter comments from @Peeverson, @barneezyjones, and the FextraLife wiki, so credit where credit is due. Thanks so much to all the fans and everyone at E3 who have done such a good job relaying this information to those of us who couldn't be there (I'm half-mad from jealousy). I'm sure there will be even more interesting things to talk about in the near future, but I'll highlight some of the most interesting tidbits so far. Apparently, the main plot of the game revolves around the Lord (or “Lords”) of Cinder and his (or their) resurrection. 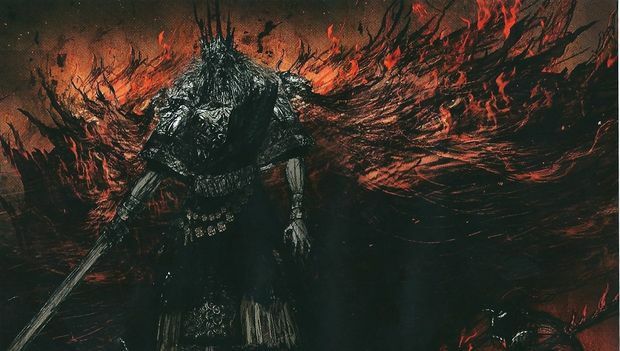 Details are obviously spotty at this point, but the general sense is that the Lord of Cinder isn't Gwyn (the boss of the first game) like you might immediately suspect, but another soul who chose to link the fire. 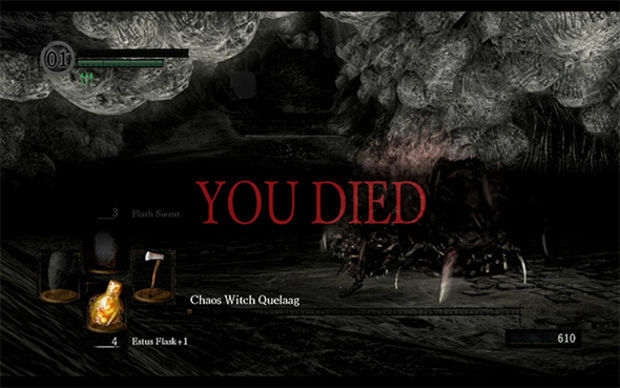 You know, like you do as the Chosen Undead at the end of the first game. 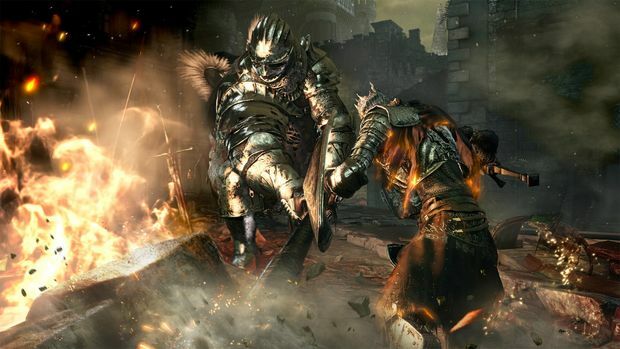 Dark Souls III might be you dealing with the sins and repercussions of your original character. For a series all about cycles, repetition and repeated mistakes, I think that is a very cool angle. Time is a flat circle, indeed. 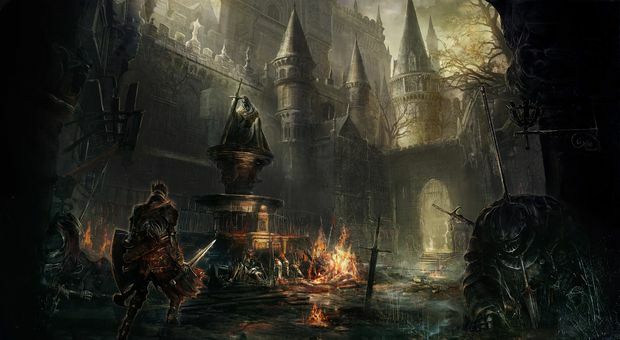 Combat in Dark Souls III will feel much closer to the pace and rhythm of Dark Souls and II than Bloodborne. Shields are back in fashion as the stylish choice for every fashion-forward undead interested in keeping all of their limbs intact. Interestingly enough though, bows and arrows will be receiving a lot more love. Drawing and firing an arrow will be much faster than any previous games, to the point where you could possibly use them as an up-close weapon. Miyazaki jokingly claimed that “using the short bow is a bit like being like Legolas in Lord of the Rings. Ok, I’m probably exaggerating a little.” Nice, but I can't imagine Legolas lasting long in the extra-harsh world of the Souls games. Stance switching will be a bigger thing than ever. While switching between one and two hands or the useful “power stance” of Dark Souls II has always been a thing, it seems some weapons will have even more stances and special properties. Short swords have a “ready” stance where the sword is held two-handed above the head and able to crush guards when used correctly, while the massive Greatswords will be getting a “lunge” move that allows you to jut forward quickly with an upward stab that may have some invincibility frames on it. Handy stuff for PvP. But it gets cooler. Enemies will be able to use stances and skills just like the player can. Expect undead to try and adapt to what you're doing and use all your own dirty tricks against you. This is one of those things that is both exciting and terrifying and I can't wait to see how it all works out. I'm imaging having to duel smart versions of the Silver Knights in Anor Londo and it's giving me chills. 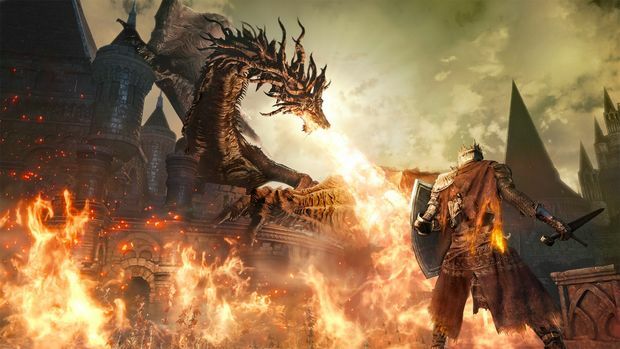 In a Q&A session after a hands-on demo, Miyazaki was quizzed about the PvP and co-op mechanics and how it would all work in Dark Souls III. While initially a bit evasive, Miyazaki eventually relented and spilled the beans on a few details that I'm sure fans will love. The Soul Memory system for match-making is gone (good riddance) and the game will be returning to a similar (but tweaked) version of the Soul Level matching system of the first game. Good news for anyone who enjoyed PvP fight clubs or bro-oping with friends and grew weary of micro-managing their soul intake. Probably the most earth-shattering detail about multiplayer released so far though, Miyazaki told the group that the game would be using dedicated servers for its multiplayer. This would be a huge change, as every other Souls game so far has relied on (occasionally less than stellar) peer-to-peer systems. I'm a little hesitant to get my hopes up super high -- there is always a chance this will get chalked up to a “translation error” or otherwise quietly scuttled later -- but the idea of a smoother and more consistent Souls multiplayer experience has me giddy. The game will run at 30 FPS. Yes, some dude used his one chance to personally ask Miyazaki a question to harass him about the frame rate. Nice. I imagine this will be a sticking point for some people who react like their eyes melt at anything less than 60 FPS, but I'm fine with it. Not saying I don't love a good frame rate, but I think that concern is occasionally over inflated. All that really matters is that the game looks good (which can be accomplished better by art direction and design than sheer horsepower) and plays well. This wouldn't be the first time a game was sold as “the last in the series” and it turned out not to be (side-eye to Gears 3) and the Souls games already have a history of spiritual successors and suspiciously similar sister-series, but it's still an interesting idea. With Miyazaki back at the helm and the story line focused on the end of the cycle of resurrection and decay, this might be a good place to leave the series. A bitter-sweet thing to think about. Those are the most interesting details I've heard about the game so far, but news is moving fast and the rumor mill is always churning. If you've heard anything cool, be sure to share it with the rest of us!